Dave's Beer: Walking Poles, I'm serious. Wow! 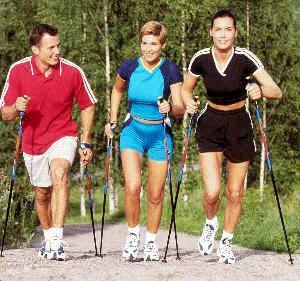 Google walking poles and you'll find a plethora of results extolling the fitness virtues of these devices. "Burn 45% more energy!" Compared to not walking? Kidding aside, do these actually help? Also handy to discipline your kids! It's kind of like training wheels for walkers.